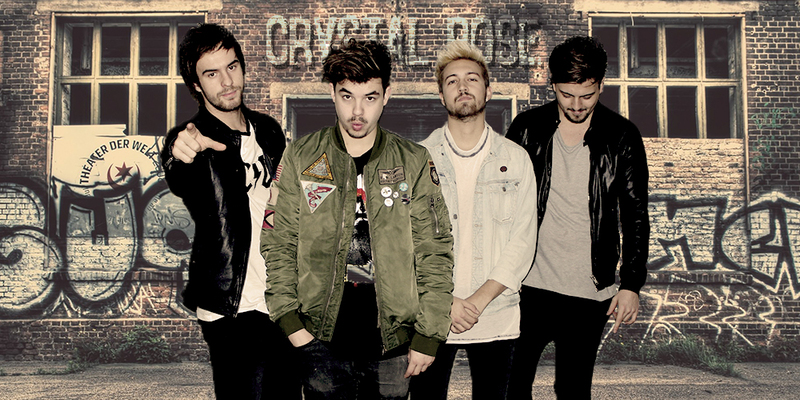 Crystal Rose is a swiss teenage Punk-Rock band. Fighting against the mainstream the four guys become quiet famous in switzerland. Trying to live their passion they keep climbing to the top of the Swiss Music Industry and from there they gonna take over the world! If you are one of those people who try to fight for their rights, if you wont swim along the mainstream, if you still believe in dreams… then you know Crystal Rose has the right music for YOU! The four guys met eachother at school in a small town calld Wettingen. Soon after they started to play music together. Writing songs and playing shows almost every weekend, they became quiet famous in Switzerland. In the year 2014 they started a band named Crystal Rose and they are currently recording their first self-produced album Jhonny Good, which soon to be finished.